miniOrange provides a ready to use solution for Wordpress. 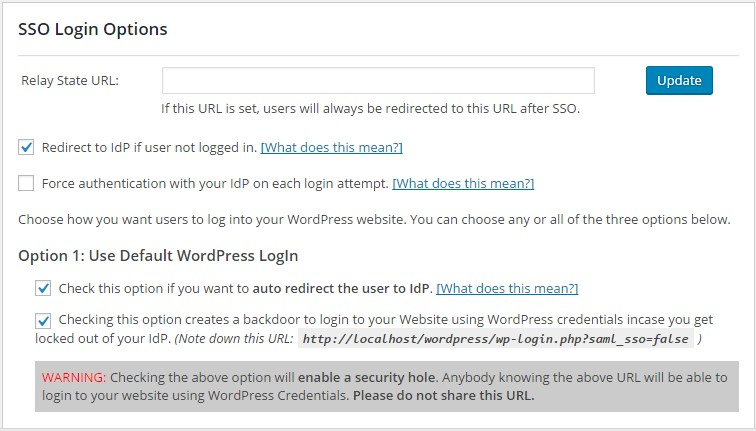 This solution ensures that you are ready to roll out secure access to your Wordpress site using Bitium within minutes. In the top right corner, click on Add More Apps. You will see a search box, then search for Wordpress, and add the app to your Bitium account. Here we will start configuring SSO. 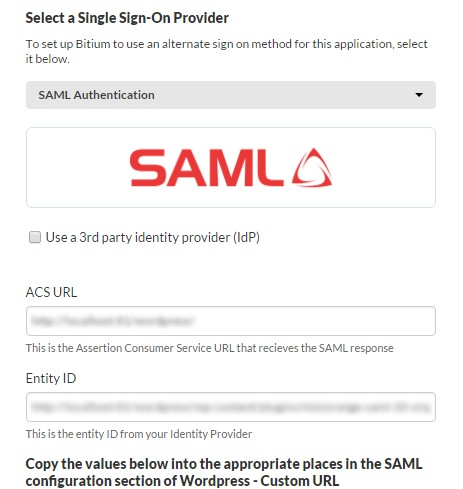 First, select a name for your page, then select SAML Authentication from the dropdown menu. Once you are done, click on Install App. 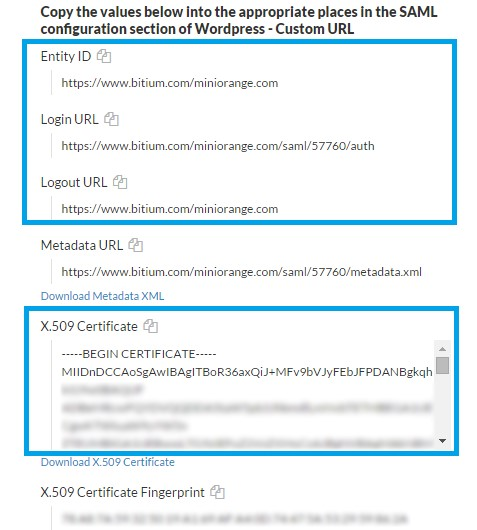 Here, we will exchange a few values between Bitium and Wordpress. Now, assign the Wordpress app to your users in the Apps Overview section. Under the Role Mapping section, configure which GROUP value coming in the SAML response needs to be mapped to which role in WordPress. 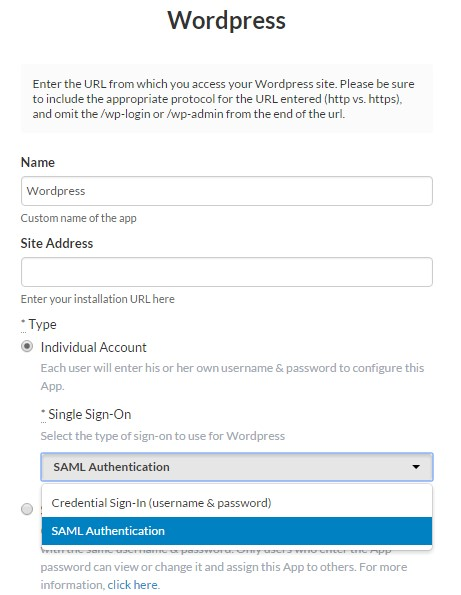 The Group value coming in the SAML response will be mapped to the Role assigned here and the user will be assigned that role in WordPress. Go to SSO Login Settings tab. Enable auto-redirect to IDP using Redirect to IdP if user not logged in option.